These Lodges & Mews are located in the grounds of the Kilcoran Lodge Hotel in Cahir, Co. Tipperary. The Kilcoran Lodge Hotel is located on the "N8" main Dublin-Cork road just a 15 minute drive from Tipperary Town, Cashel, Clonmel or Mitchelstown, and approximately a 45 minute drive from Cork, Kilkenny, Waterford or Limerick. The Heritage Town of Cahir, with its many historical attractions such as Cahir Castle and the internationally renowned Swiss Cottage is within five minutes drive from the hotel. 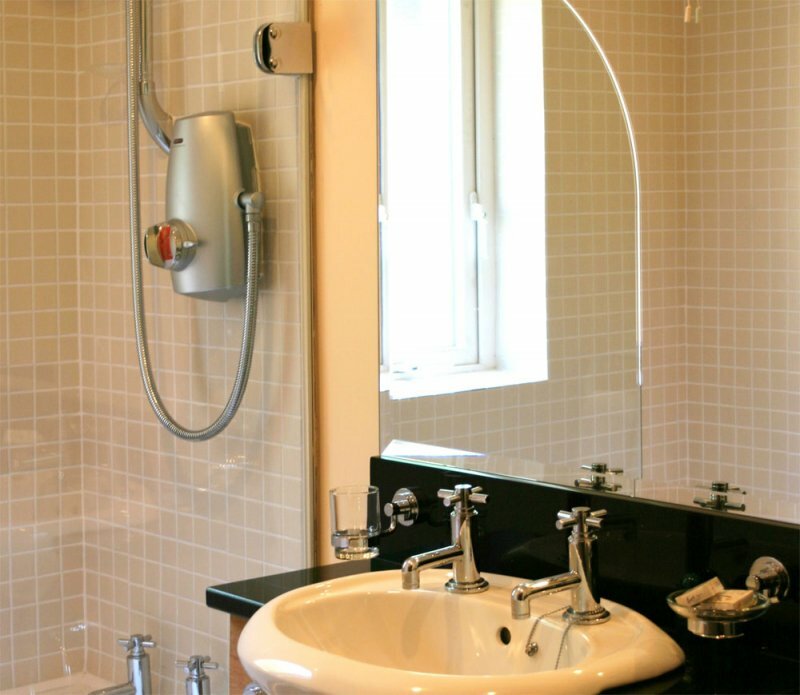 Each of these Lodges can accommodate up to six people in three well appointed bedrooms. The living room boasts a leather couch and armchair nestled in front of an open fireplace. The room is decorated with soft relaxing colours and all of our Lodges are now fitted with a 40" UHD Samsung Smart TV. The kitchen/ dining room is bright and spacious and has a large dining table with six leather chairs. The kitchen is fully equipped with all the features you would expect in your holiday home including cooker, microwave, dishwasher and washer/dryer. There is a patio door leading from the kitchen out onto your private decking area with patio furniture. From here you can enjoy the wonderful views and tranquility of the surrounding Knockmealdown mountains. Upstairs there is a double bedroom and a twin bedroom, both of which are ensuite. The third bedroom is a double bedroom and is located downstairs and also has an ensuite bathroom. The upstairs double ensuite bathroom has a bath and the other two have showers. Internet Access is available to all guests for a small charge which is payable onsite of €7.50 per day or €25.00 per week. Internet use is unlimited during your hire period and with the latest mobile broadband router offers an unlimited number of connections (64). Speed trials have been excellent with a good 3G/4G signal in all lodges. Payment should be made in advance of your stay directly with the caretakes who accept all major debit and credit cards. Please note that as with all mobile devices, weather conditions can affect signals but this is usually linked to extreme heat or very stormy conditions so should be extremely infrequent. Open Fire Packs are available at a cost of €20 and include a 10 litre bucket of coal, fire lighters, matches/lighter, kindling and a 15kg tray of logs. Payment should be made directly to our Caretakers onsite. Privately screened by woodlands to the rear of the Hotel are the seven Courtyard Mews apartments, each with two double rooms, both of which are ensuite. The Mews have an open plan fully equipped kitchen/ dining/ sitting room. Most of the Courtyard Mews have beautiful views of the Knockmealdown Mountains and there is plenty of private parking adjacent to the complex. Bed linen & towels are provided in the Lodges and Mews. There is an extra charge for electricity and oil which is payable when you're making final payment for your holiday at the rate of €6.00 per day from April-September inclusive and €12.50 per day for all other months. This is payable to the Dream Ireland office. Pets are allowed on request at the Lodges. An extra charge of €24 per pet will apply and this will be Payable to Dream Ireland on booking. There are many walking paths near the Hotel for both guided and unguided tours. The walks range from easy strolls to advanced walking and climbing. Please enquire with Hotel reception directly. There are 5 top class Golf Courses within 20 mins of Kilcoran Lodge and we have favourable Green Fees with many of them for our guests. The Rivers Suir and Blackwater are within easy reach and between them boast some of the best Trout and Salmon fishing in Ireland. Available within a few miles on the slopes of the Galtee Mountains. The Kilcoran Lodge Hotel's GPS Co ordinates are W 8 0' 55.49" , N 52 20' 52.09"
Check in time is strictly 4pm. Check out time is strictly 11am. "Thank you for your lovely comments. We hope to welcome you back again some time soon!" "Dear Margaret Thank you so much for your comments. Kilcoran is a popular Dream Ireland location for all the reasons you mentioned! We hope to have the opportunity to welcome you and you family back to Kilcoran, or perhaps a different Dream Ireland location in the near future. Warm regards, Lisa"
"Thank you for taking the time to send us your comments on Kilcoran Lodges. This is a popular Dream Ireland location for all the reasons you have described as well as the onsite leisure centre. We hope to have the opportunity to welcome you back to Kilcoran or indeed another Dream Ireland location in the near future. Lisa Argue Sales"